The AMD Ryzen 7 2700E is the low power variant of the current flagship Ryzen 7 2700X CPU. It is an 8 core, 16 thread part with 16 MB of L3 cache and 4 MB of L2 cache. The chip is rated to operate at 45W and since the TDP is lower, the clock speeds are also conservative with a base clock of 2.7 GHz which is 1.1 GHz slower than the Ryzen 7 2700X CPU. The boost clocks aren’t stated but we can see the pricing close to the 2700X which is similar to Intel’s “T” series pricing strategy. 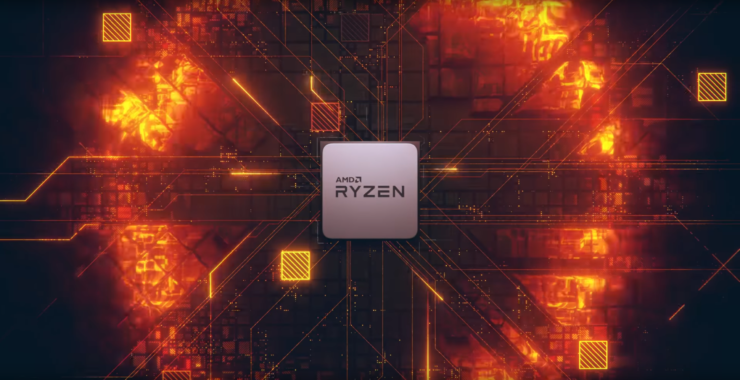 The AMD Ryzen 5 2600E is the low power variant of the Ryzen 5 2600X, which is also the fastest 6 core variant in AMD’s lineup. The Ryzen 5 2600E is a 6 core, 12 thread part with 16 MB of L3 cache and 3 MB of L2 cache. The processor is clocked at a base frequency of 3.1 GHz which is not as cut out as the 2700E. The reason is that under the 45W package, the Ryzen 5 2600E has 2 fewer cores than the Ryzen 7 2700E. The chip is still 400 MHz slower than full 95W part but they have a use for CPUs like this. AMD is releasing their new B450 motherboards shortly so we can expect these processors to be introduced alongside them since they make up for a nice, power-friendly platform. Expect some new budget-friendly processors to be launched soon too. What do you think of low-power systems?